*See specialized fees for Distance Education courses below. *Scroll down for more information on Distance Education fees and expected expenses if enrolled in these courses.  Withdrawal before or on the first day of class--100% refund of tuition and other institutional charges.  Withdrawal during the first week of class--75% of tuition and other institutional charges can be refunded to student.  Withdrawal during the second week of class--50% of tuition and other institutional charges can be refunded to student.  Withdrawal during third week week of class--25% of tuition and other institutional charges can be refunded to student. For calculating refunds during the fall and spring sixteen week terms, a “week” is defined as seven calendar days. Refunds of tuition for terms shorter that sixteen weeks, such as summer terms, mini terms, and weekend terms will reflect a prorated week based on the number of days in the term. 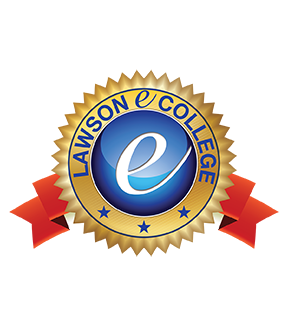 For more information on the Refund process at Lawson State, please refer to the Student Catalog and Handbook. eCollege Students are charged a $50 online course testing fee (per online course they take). This fee is the same for online courses using ProctorU or Blackboard as their main testing vehicle. All transferable courses require Proctor U testing for both the Mid-term and Final Exam, except ORI101 (which uses Blackboard). Late fees apply if using ProctorU. Students must schedule their Mid-term and Final with ProctorU at least 72 hours prior to testing. If not, a LATE fee (paid to ProctorU by the student) between $5.00 and $8.75 will be assessed. In such cases, the student will have to pay this late fee (out of pocket) at the time of test scheduling. The $50 online testing fee DOES not include late fees. Fees are collected at the time of registration. *Specialized fees assessed for online courses are subject to change and are non-negotiable and non-refundable if a student remains registered in an online course. Computer (not an iPad). Available in bookstore or other major retailers. Mountable Webcam (Need for ProctorU testing). Available in bookstore or from other major retailers). Audio w/microphone headset. Available in bookstore or from other major retailers. *Tuition and Fees are subject to change. Fees are non-negotiable and non-refundable.